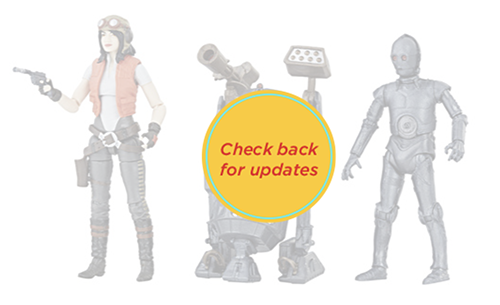 HasbroToyShop has once again updated their homepage graphics removing “Check back tomorrow” and replacing them with “check back for updates”. 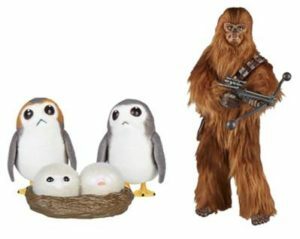 This applies to the Dr. Aphra set, Han Solo Exogorth Escape set, and Chewbacca with Porgs – meaning these exclusives ARE NOT sold out but you’ll have to continue to checking the site for availability. 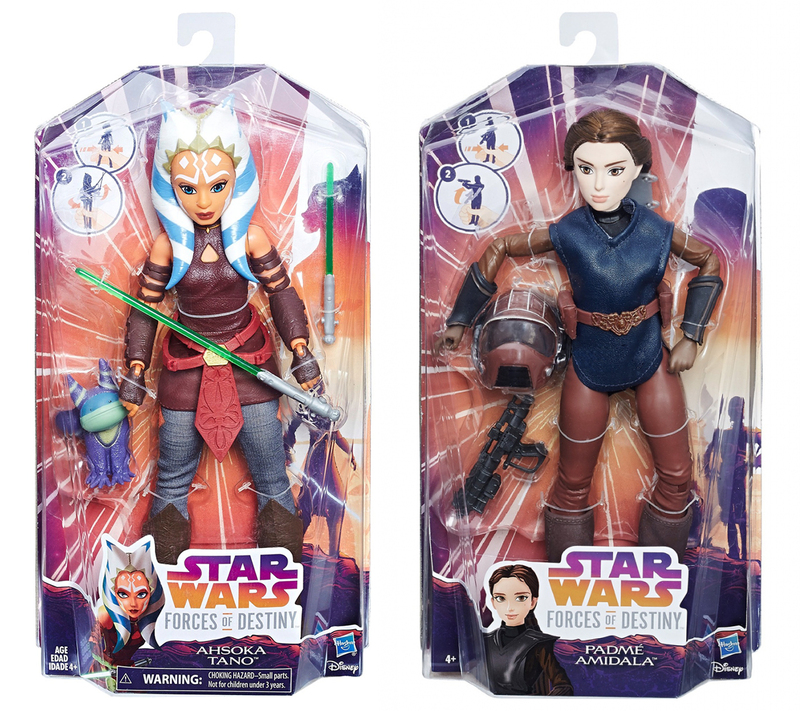 It looks like the availability of the Forces of Destiny Ahsoka Tano and Padmé Amidala (Naboo Pilot) have once again been delayed and are now set to be released in March. 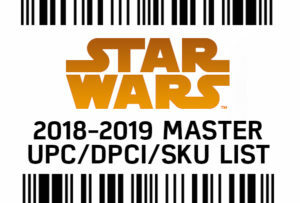 You can still preorder yours through our sponsor Entertainment Earth via the text links above. UPDATE: Ahsoka’s ETA has now been pushed to April. 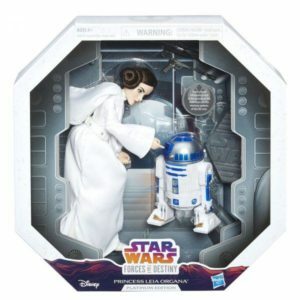 Sponsor Entertainment Earth now has the Forces of Destiny Platinum Edition Princess Leia & R2-D2 Set in stock and ready to ship. 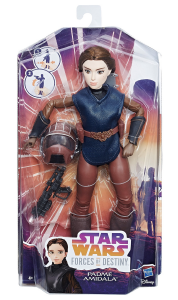 As we shared yesterday on Twitter, Entertainment Earth has listed the Padme Amidala (Naboo) Adventure Figure (C3521) back on their site for release in March. The Padmé Amidala Mission Set (E1508) that we first reported here is still cancelled. The Mission Set was to have included 2 outfits (Naboo and Geonosis) similar to the Endor Adventure Leia figure. 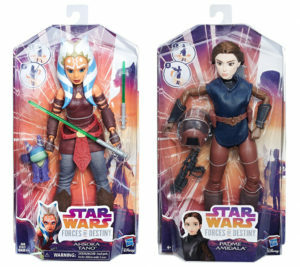 Here’s some good news regarding the Forces of Destiny line. 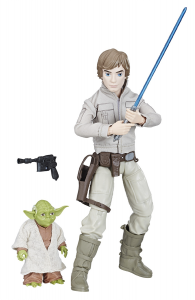 The Luke with Yoda Adventure Figure set is in stock and ready to ship from sponsor Entertainment Earth. Another one bites the dust. Entertainment Earth has sent notifications to those who preordered the Forces of Destiny Sabine Wren with Graffiti Speeder that this item is now cancelled. We initially posted the rumor of its pending released back in December. Things are looking dire for those Creatures and Droids adventure packs we reported as well, at least in the U.S. Thanks to Star Wars Collector for the heads-up.